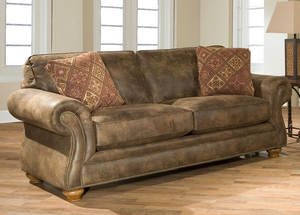 Vickroy’s Furniture is a family-owned and operated business located in Monmouth, Illinois. It was founded in 1956 by Clarence and Marietta Vickroy when they moved from Geneseo to Monmouth. After settling in Monmouth, the Vickroy family and their business continued to grow. Today, the store is run by Rick and Dawn, who strive to continue Vickroy’s mission to provide local residents with great furniture that’s built to last! With top-of-the-line furniture brands like La-Z-Boy, Lane, and Broyhill, we can help you effectively transform your house to a home with our warm and welcoming furnishings. Visit our showroom today and view our huge selection of top-brand furniture. Should you have any questions about a specific piece, our knowledgeable staff can assist you. We can check availability on similar pieces and other stains or wood varieties. We’ll help you create a living room that you’ll look forward to using both on your own and when entertaining guests. Have friends over for the big game or to watch the finale of your favorite show! 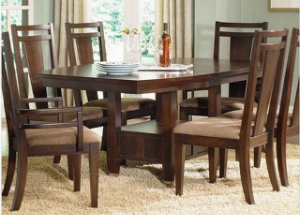 From wooden chair sets to large oaken tables capable of holding the whole family, Vickroy’s Furniture’s expansive showroom has the perfect chairs and table for your dining room. From drawers, chests, and nightstands to sleigh beds, four posters, and mattresses, Vickroy’s Furniture is your one-stop-shop for all of your bedroom furniture needs. Come in today!